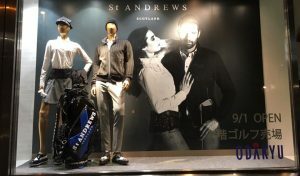 The end of 2016 marked the beginning of a new relationship as St Andrews Links announced its partnership with one of Asia’s most renowned apparel firms, TSI Holdings Ltd (TSI). Since beginning my role last year as ‘Brand Development Co-ordinator’, I’ve been responsible for liaising with TSI and delivering on their day-to-day needs. 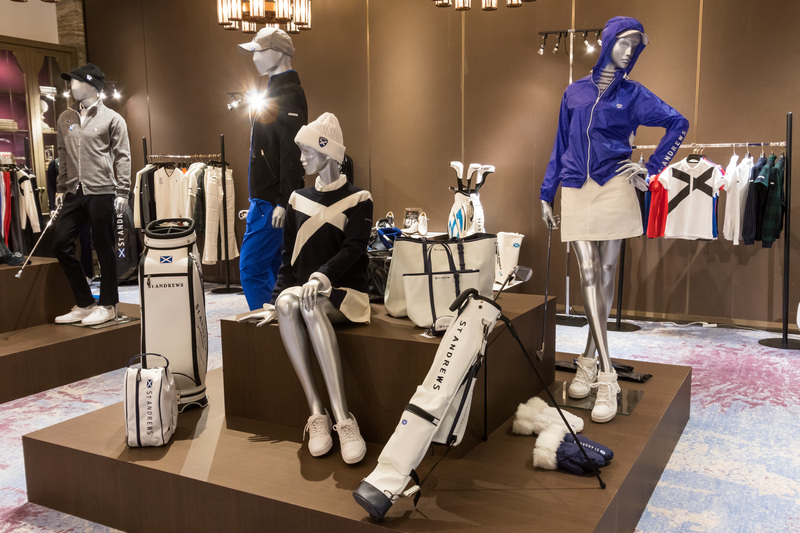 As our official clothing partners, TSI invited us to Tokyo to view the first collection designed and manufactured in partnership with the St Andrews Links family of brands. Euan Loudon (Chief Executive), Danny Campbell (Commercial Director), Laurie Watson (Head of Communications) and I were delighted to attend the two day launch. 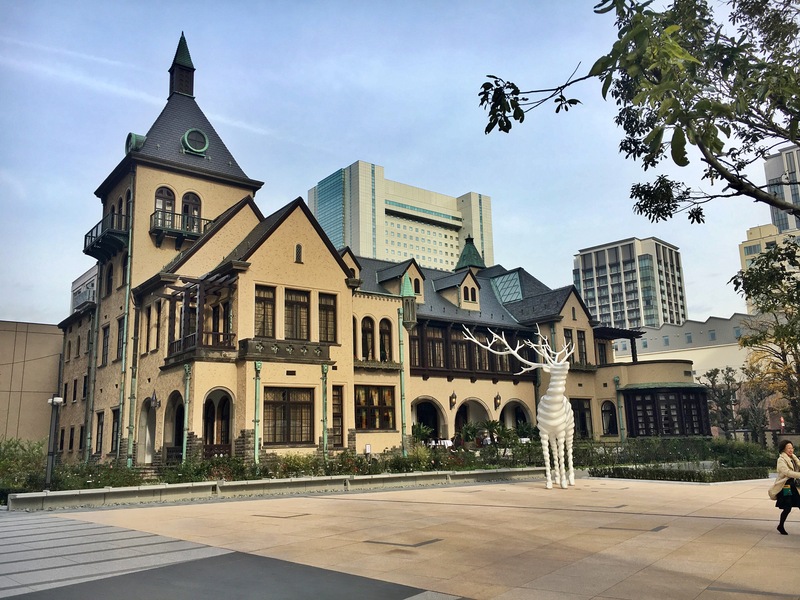 The launch was held at The Akasaka Prince Classic House in the Chiyoda district of Tokyo. This Tudor-style building, which stood out in the densely packed metropolis of glass skyscrapers surrounding it, was a beautiful setting to display TSI’s debut collection. 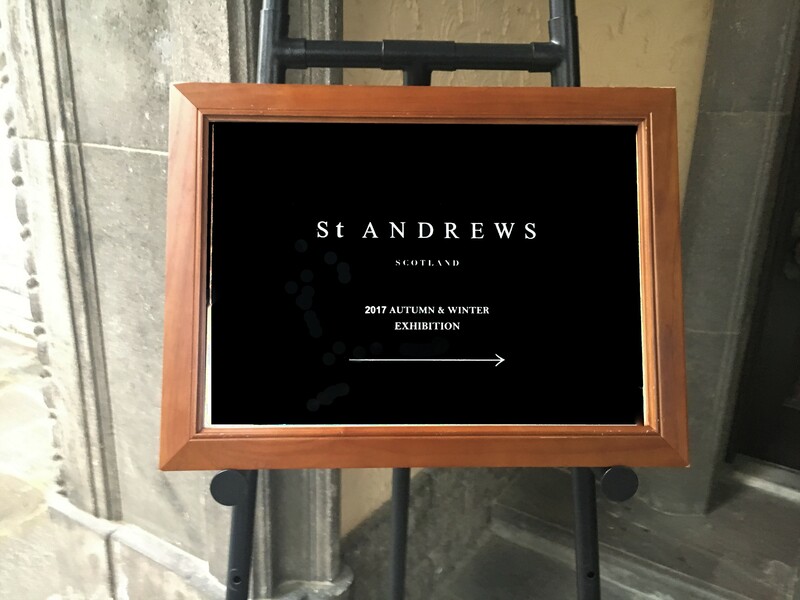 The ‘St Andrews Collection’ was showcased which will retail in Japan and across Asia in the near future. This was my first time experiencing a collection launch and it did not disappoint! As we walked into the event room I was blown away by how beautifully the venue was merchandised. As I explored the different displays showcasing the products, the brilliant design, attention to detail and quality of product was extremely impressive. The room had been split in half with the top half showcasing TSI’s ‘Black Label’ goods and the back half showcasing their ‘White Label’ goods. Mr Aiba (TSI Senior Sales Manager) showed us around the venue. 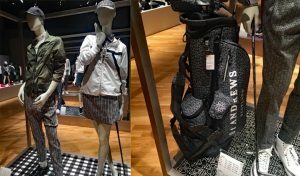 He described the ‘Black Label’ as representing a ‘high-end golf style’ with highly fashionable and glamorous golf wear. In contrast, he characterised the ‘White Label’ as highly functional and representing a more sporty golf style. 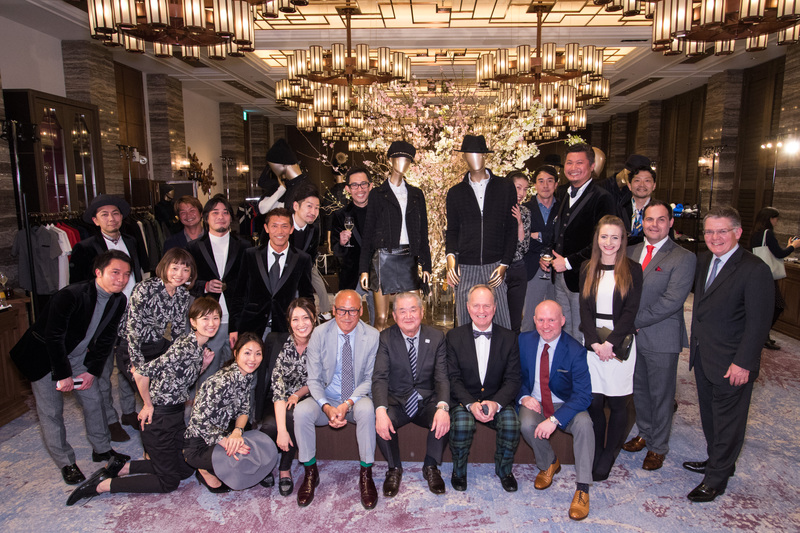 After viewing the collections, a press conference was held with more than 70 members of the Japanese media and invited guests from the world of golf and fashion in attendance. The press conference was followed by a drinks reception where we were shown films highlighting the global reputation and renown of the Home of Golf as well as the inspiration for the clothing collections. Following day 1 we were delighted with the initial feedback from the media in attendance as it was hugely positive. Our second day saw TSI welcome buyers from across Asia to view the collections and begin the order process. I had the chance to speak with some of the buyers and take in feedback regarding the collections. 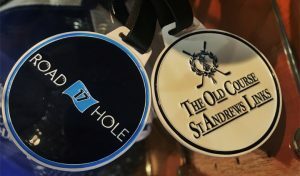 Overall they were very impressed with the new collections and were interested to find out more about the partnership between TSI and St Andrews Links. After spending the morning with the buyers I was lucky enough to be taken to another TSI event taking place across the city. This was a Jack Bunny event, which is another of TSI’s golf apparel brands. It was being held to showcase the latest Jack Bunny collection and was a real pleasure to have the opportunity to see another example of how well TSI showcase their products. 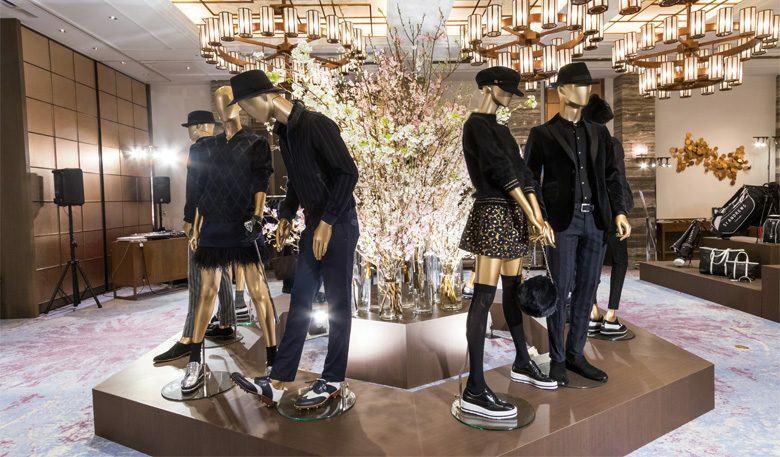 The launch of TSI’s debut collection marked an exciting milestone in our partnership with the design and product quality exceeding all expectations. The next exciting stage now lies ahead of us when it becomes available in stores across Japan. TSI have the full support of the team here in St Andrews and we look forward to seeing what this partnership brings in the coming years.